Do you want to stay outside? Renew your outdoor! Finally spring begins and it's time to stay outside during sunny days. 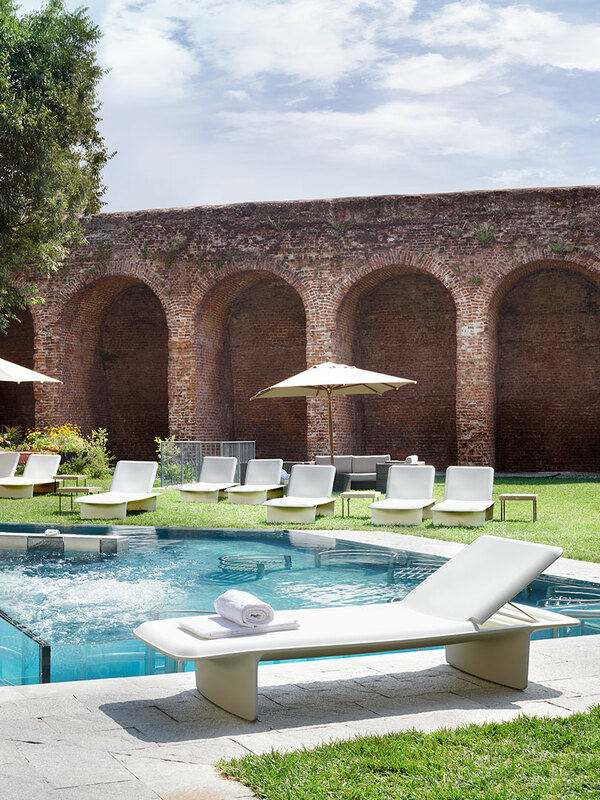 The biggest desire is to get some sun by the pool? Here are some ideas to make your space even more inviting! 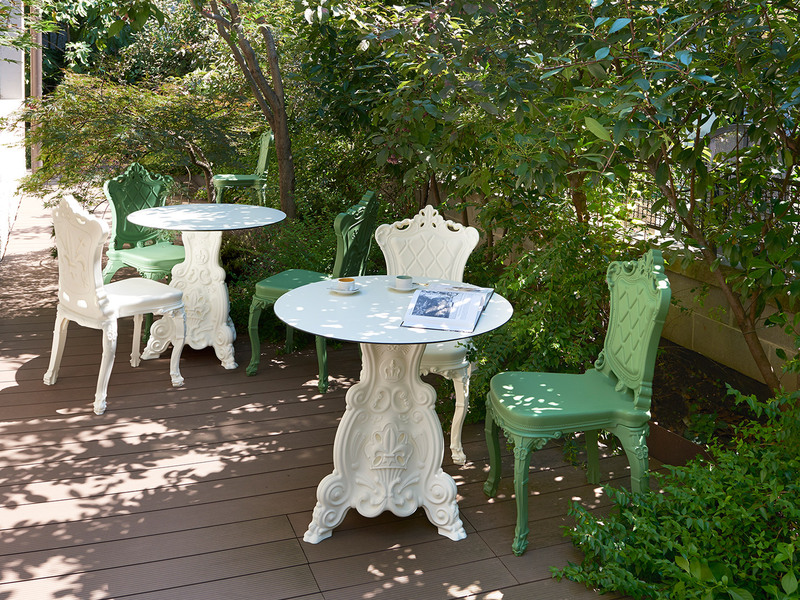 We create a special gallery for you, with many colorful and elegant ideas to renew your outdoor space. 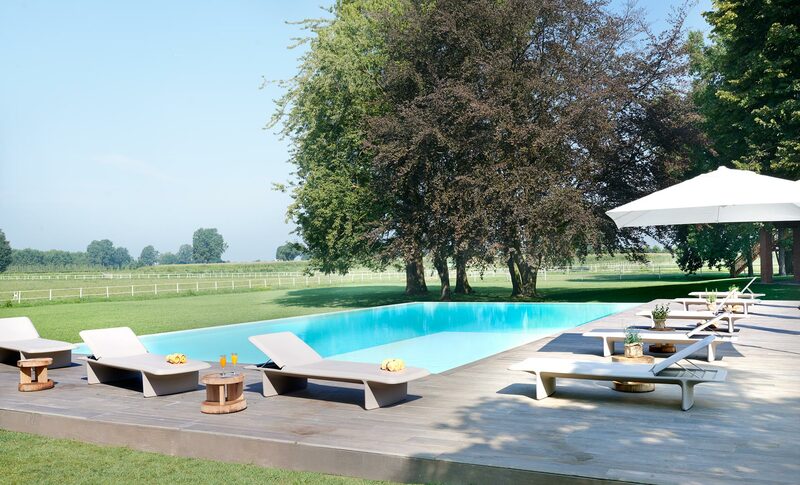 We have paid particular attention to the space around the pool. 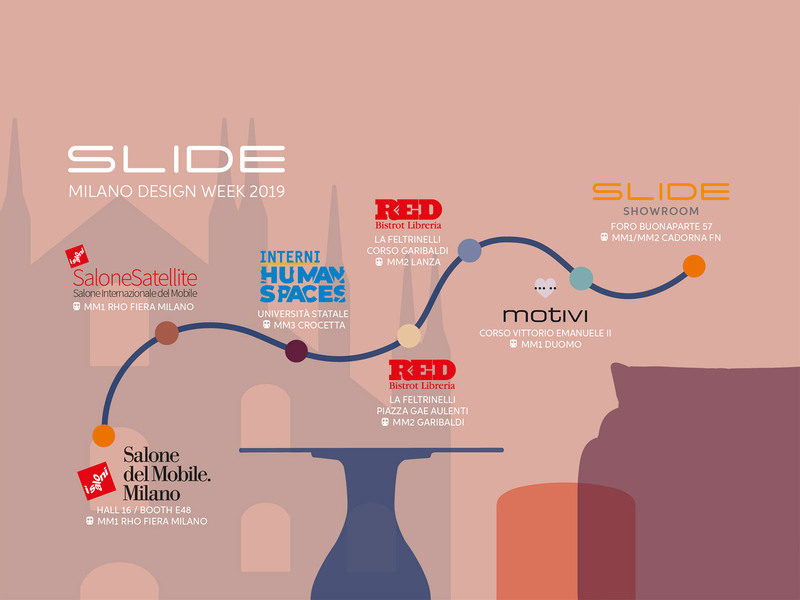 Thanks to an original design, the resistance of the materials used, ideal for outdoor use, and colours, SLIDE furniture is the perfect ally to renew your decor. 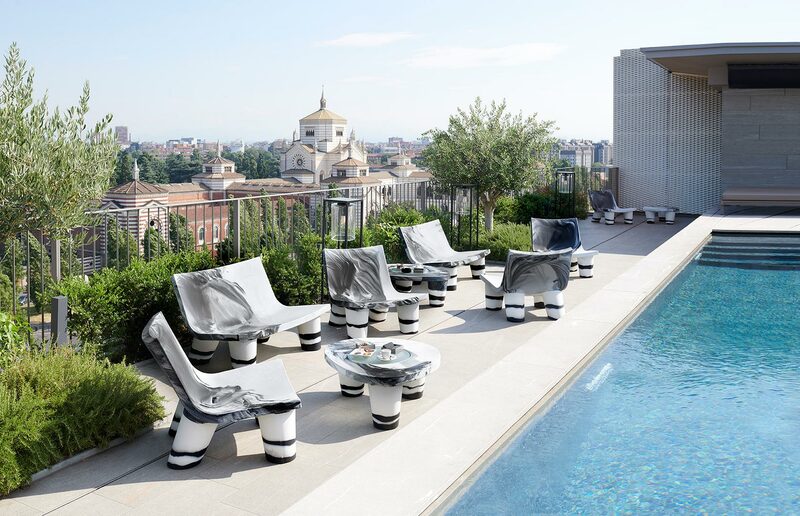 Our furnishing is perfect for every kind of settings: for a hotel with a rooftop pool and panoramic view, for a luxury Bed&Breakfast, for an open pool, or for a private residence. Is it time to improve your tan? 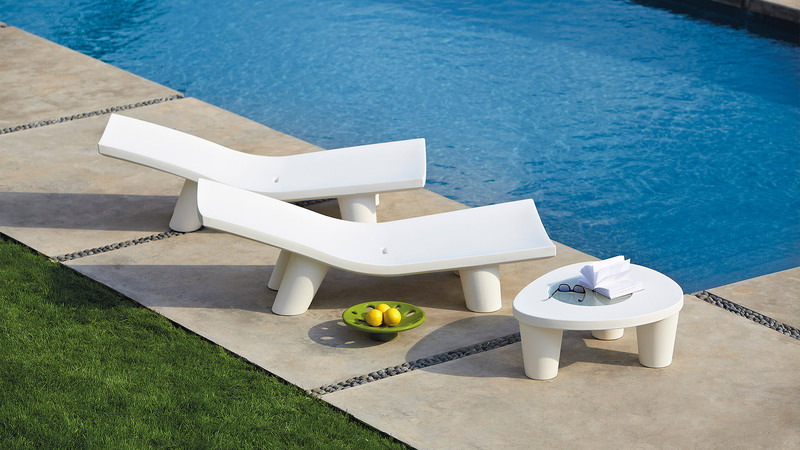 Indeed, these are our sun loungers. 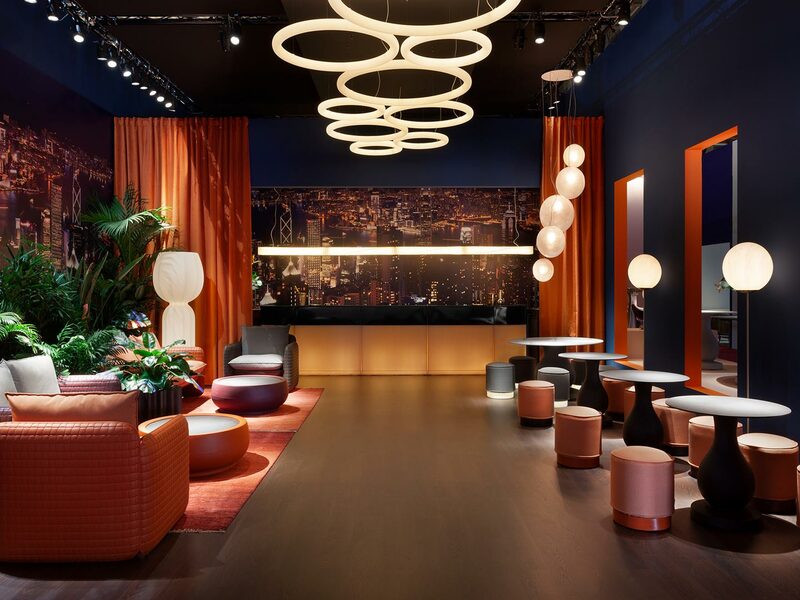 Presented at the last edition of the Salone del Mobile, Ponente by Martinelli Venezia Studio is enriched with a comfortable cushion. 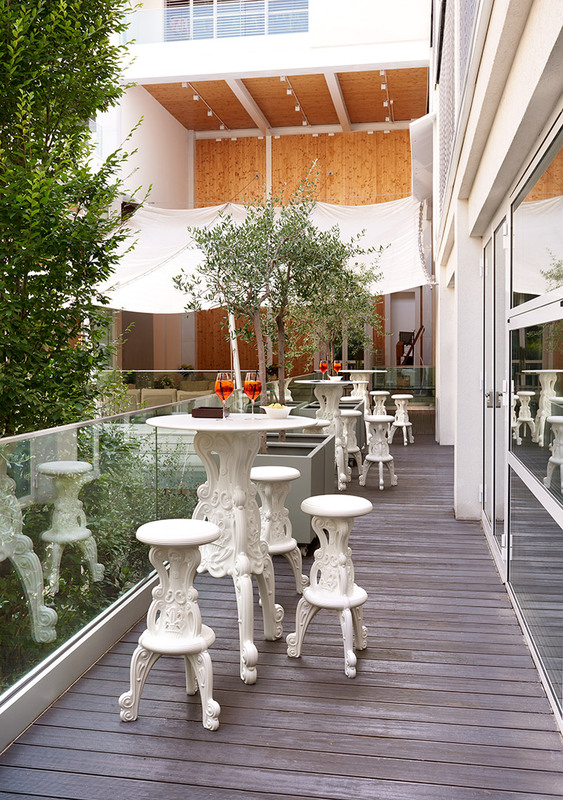 For those who love the ethnic style, Low Lita Lounge by Paola Navone is ideal. For those who love the industrial taste, instead, we recommend Tic Tac, with the shape of a gear, by Marco Acerbis. 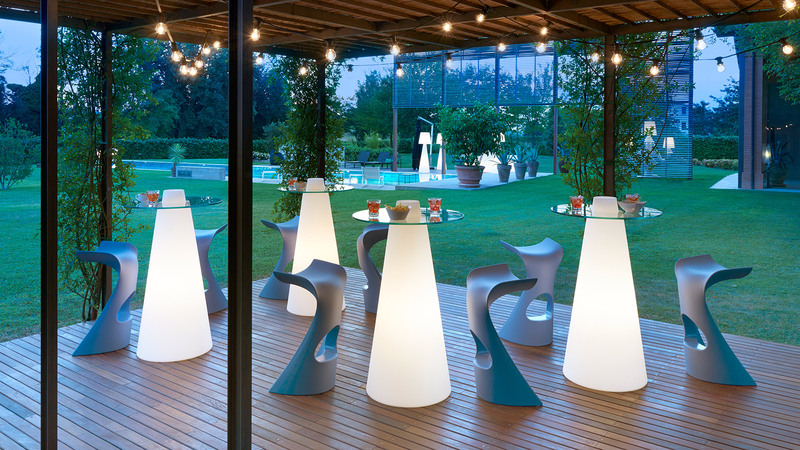 Outdoor events want to be unforgettable, thanks to the magic of luminous furniture, combined with Drink or Koncord stools. For a touch of baroque style, you can create a corner with Design of Love collection. For example, the Master of Love high table with Mister of Love stool, or the lower version with Lord of Love and Princess of Love. We create unique collection dadicate to contract projects, in orde to offer comfort and originality to their guests. 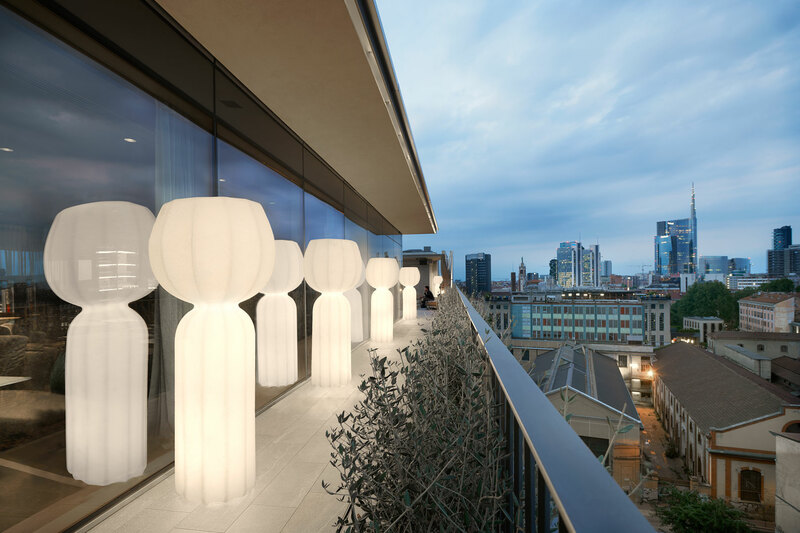 Each collection is designed by a famous artist: Low Lita by Paola Navone, Chubby by Marcel Wanders and Blos by Karim Rashid. 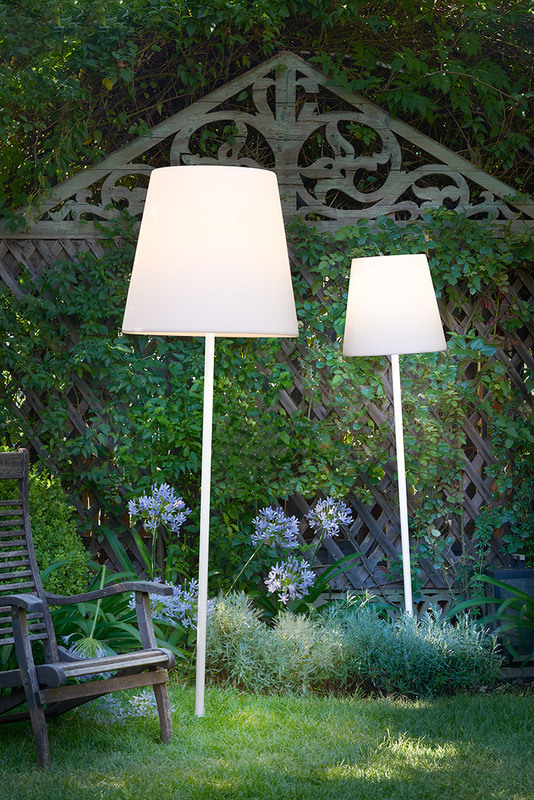 To give your outdoor a magical touch, you need light points. 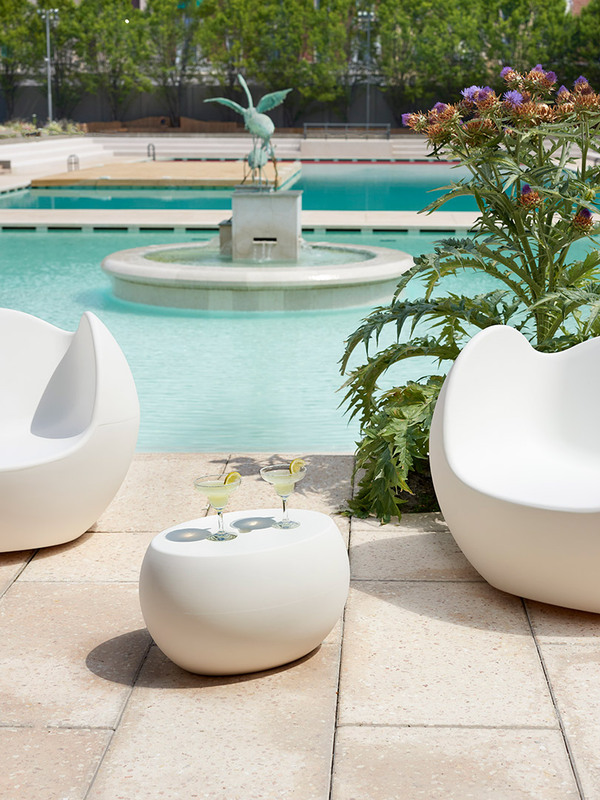 The elegance of Cucun, with its texture inspired by the ancient Japanese paper and its design that reminds of the shape of the bulbs, is certainly an object that make your outdoor are unforgettable. For the gardens, instead, it is perfect Fiaccola Ali Baba, thanks to its stake. 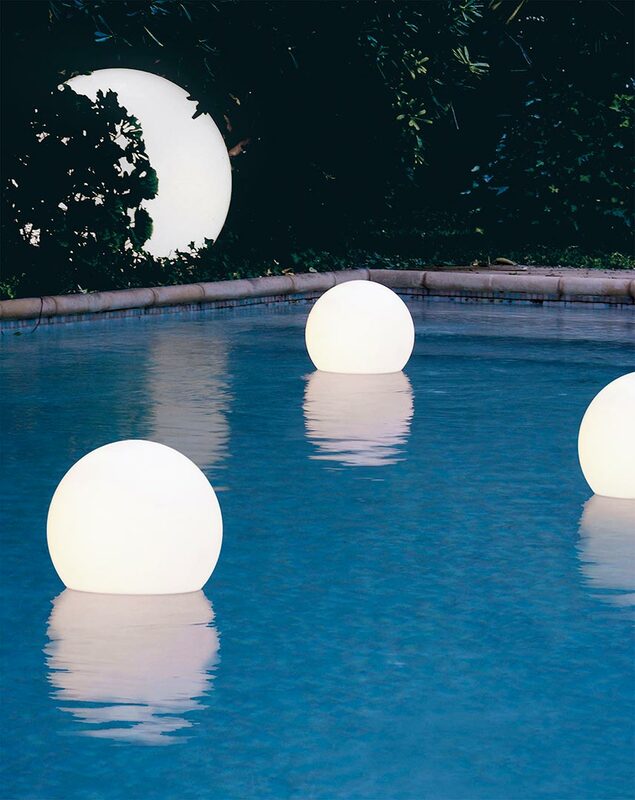 To light up your water areas, instead, use our unique Acquaglobo floating lamp.